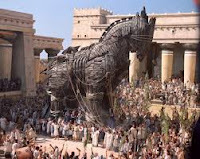 Euthanasia Prevention Coalition Euthanasia Prevention Coalition: Vermont Assisted Suicide bill like a Trojan horse. Vermont Assisted Suicide bill like a Trojan horse. The following article was written by Donna Scott lives in North Ferrisburgh Vermont. This letter was published on April 2, 2013 in the Burlington Free Press. 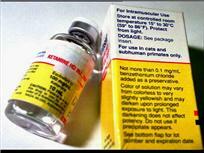 My Turn: Assisted Suicide bill like a Trojan Horse. Donna Scott, Burlington Free Press, April 2, 2013. Physician Assisted Suicide (Bill S.77) is a like Trojan horse, quite alluring on the outside, but filled with dangerous and deadly contents that will not be apparent until it’s too late. This bill is not about the individual’s right to die; but rather about giving doctors the right to kill. It is the physician who must determine whether or not the patient “qualifies” for assisted suicide. If one doctor won’t support it, patients and/or families may continue to doctor-shop until they find someone who is willing to write the deadly prescription. It will destroy the trust between doctor and patient. Suicide is not illegal now, but by legitimizing suicide as a “legal medical treatment,” it will allow insurance companies to withdraw payments for legitimate medical treatment and palliative care in favor of providing death by doctor prescription. Oregon has already documented instances of this happening. As health care coverage becomes more and more expensive, and as our state tries to implement the single-payer system, the decision to cut costs by rationing health care will become the rule rather than the exception. Furthermore, it will discourage the funding of other health care services such as hospice and Visiting Nurse Association and thereby eliminate the “right to choose” for those who do not want to end their lives prematurely. Assisted suicide is not “health care.” It will put a terrible additional burden on patients who have just received a terminal diagnosis. They will now have to try to justify their desire to live, knowing what a financial and emotional burden it will be to their families if the insurance company withdraws medical coverage (except for paying the $75 for a lethal prescription.) It will certainly limit the options available. Physician-assisted suicide does not insure “death with dignity”: A pharmacist at the public hearing on Jan. 29 in Montpelier testified that a person can already cause their own death by taking an overdose of certain over-the-counter drugs. He also said that the only “assistance” that the patient receives from the doctor is writing the prescription. 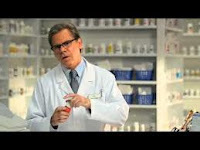 The person is then left to decide how, when, why, and even if to administer the pills on their own. Some people cannot take the complete dosage before succumbing to the throes of vomiting or they may change their minds in the process, and what do the witnesses present at the death do then? There are no guarantees of a peaceful, pain-free death with physician-assisted suicide. The state will be falsifying their own their records regarding assisted suicide because the death certificate “shall list the underlying disease as the cause of death.” Won’t it make tracking assisted suicide more difficult, and/or make it easier for doctors to prescribe the drugs knowing that they will never be held accountable to anyone for prescribing them? Doctors make mistakes every day, and no one can predict with certainty how long someone has to live. There are many such stories about patients who were given six months to live, but went on to defy the experts by living quite comfortably for many years after their diagnosis. Please deluge your senators and representatives with phone calls and emails asking them to vote against this evil. This could be our last chance to do the right thing.